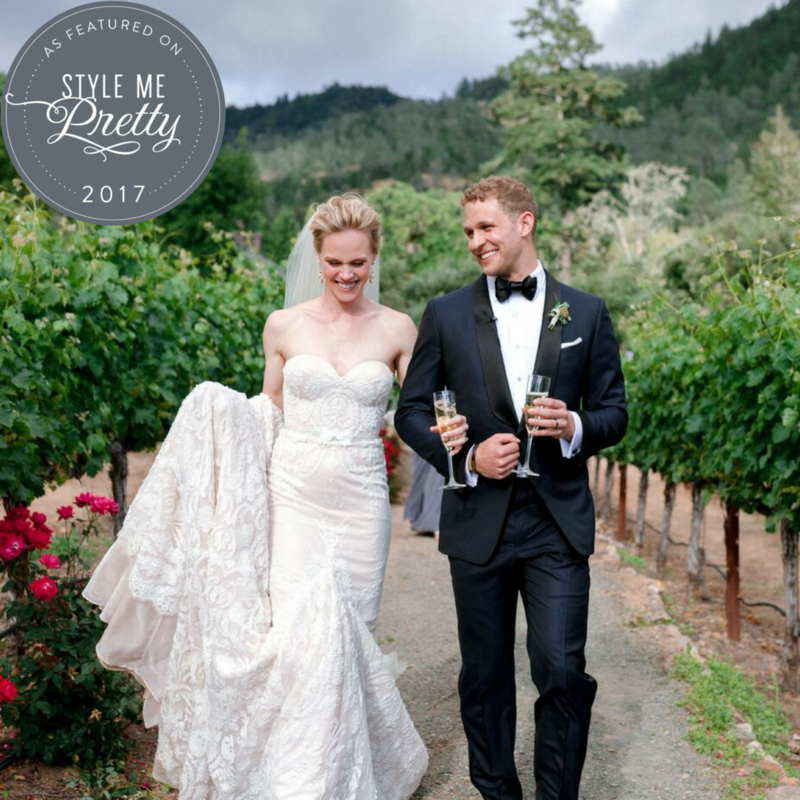 We are so thrilled to share we've been featured on Style Me Pretty for Maggie + Clayton stunning outdoor wedding at the beautiful Calistoga Ranch! 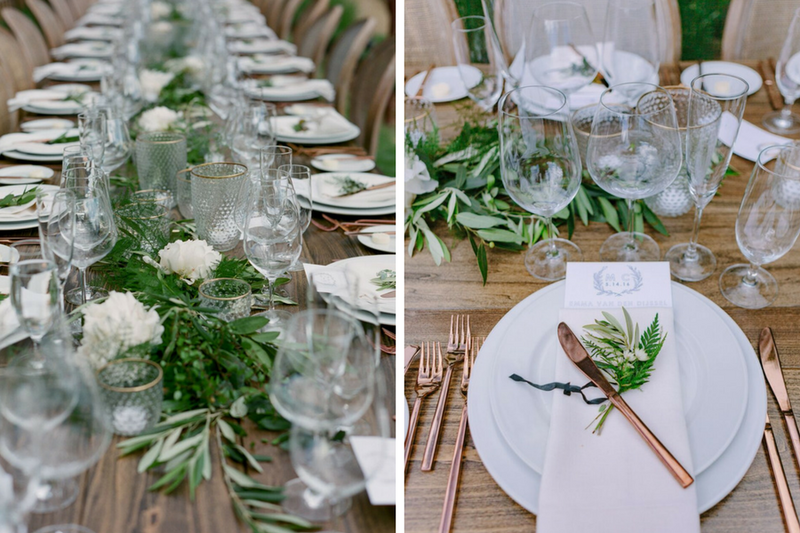 Their wedding featured lush greenery, gorgeous florals, unique lighting installations and details we adore! 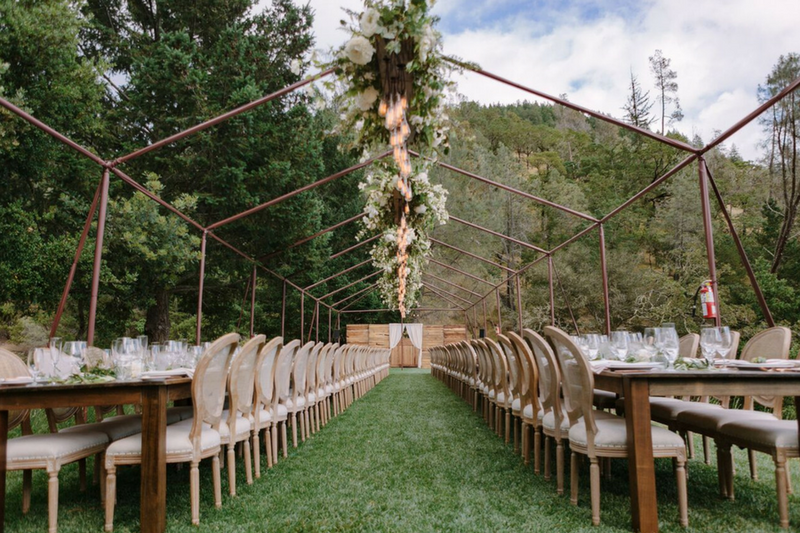 "We love the outdoors, and wanted to incorporate natural elements, so we were highly inspired by different textures and colors found in nature; natural wood grains, the effects of lighting, petals/greenery/foliage. 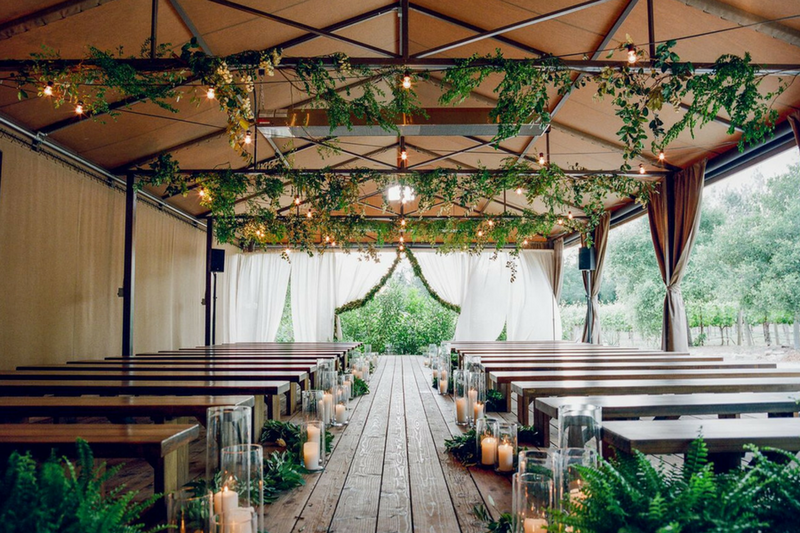 We chose our venue due to it's luxurious, natural setting. Some parts of the event come across as rustic, but I actually never thought of it that way. I prefer to think of it from the standpoint of the emotions evoked and the atmosphere that all of these elements together create. To add elegance and warmth, we included hints of cream/ivory and gold/rose gold, while featuring beautiful lighting throughout the spaces.